Invasive alien species and the impacts they cause are a growing concern for natural area managers, especially in aquatic environments. What is our knowledge of biological invasions? What is the status of legislation, which recommendations can we formulate ? On the field, what species are currently subject to management interventions? What techniques are used, in what context and with which objectives and what results? To meet the needs of managers, the IBMA work group has performed a comprehensive review of available knowledge on the management of invasive alien species. A hundred contributors were mobilized to gather the necessary elements for a methodical and reasoned approach to implement IAS management, for and by managers. The first volume of this publication presents an inventory of invasive alien species in aquatic environments. Six chapters provide an overview on scientific knowledge, legislation and regulation, strategies, actions and management issues implemented at the international, european and national scale. 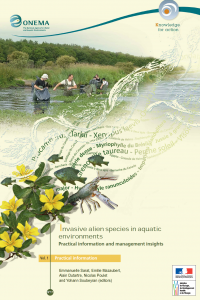 The second and third volumes offer a panorama of IAS management experiments in aquatic environments, as a reflection basis for the implementation of management actions, trying to take into account the specificities of each situation (including the study site itself, the alien species to manage and relevant human needs). This collection of experiences is the result of a collaborative process that involved more than sixty contributors managers in France but also in neighboring countries. 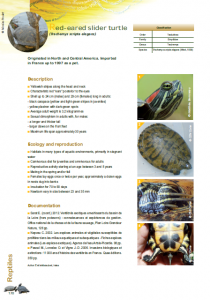 Twenty-six different species and fifty-two management experiments are described.